Four companies and one charity each signed the Armed Forces Covenant on Wednesday 3 October at Lincoln’s Inn Army Reserve Centre, Chancery Lane, London. The companies, Dynasystems, Explora Security Limited, Exsel Group, Guartel Technologies and The Explora Foundation, who all supply products to the Defence industry are headquartered in Bagley’s Lane, Fulham. The companies provide cutting edge security and anti-terrorism products, including blast and ballistic protection, specialist EOD detection, to the Ministry of Defence, foreign allied governments, the UN and NATO. Working together to support each other in the industry, it made sense to them to sign the Armed Forces Covenant at the same time. The Covenants were co-signed by Major General Ben Bathurst, General Officer Commanding London District, on behalf of the Ministry of Defence. 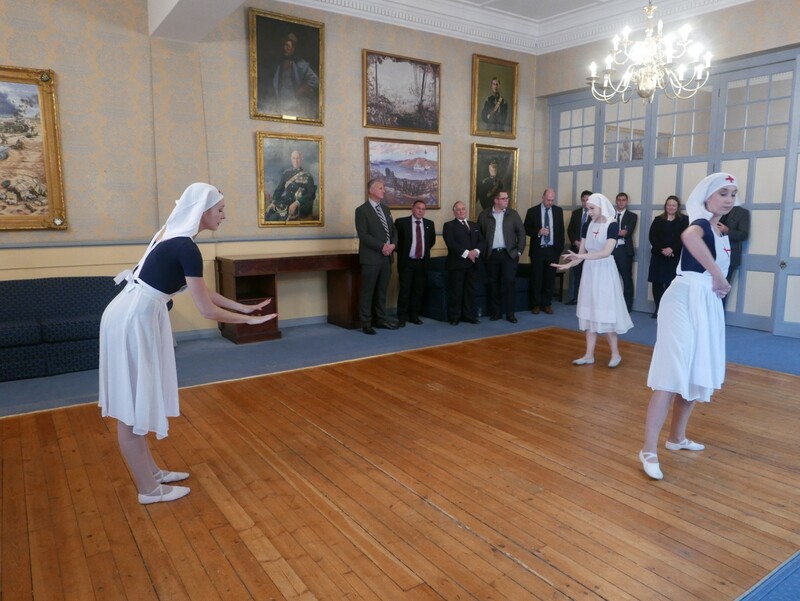 Following the signing, the London Ballet Company gave a moving performance of a specially adapted WW1 piece, entitled Poppy. 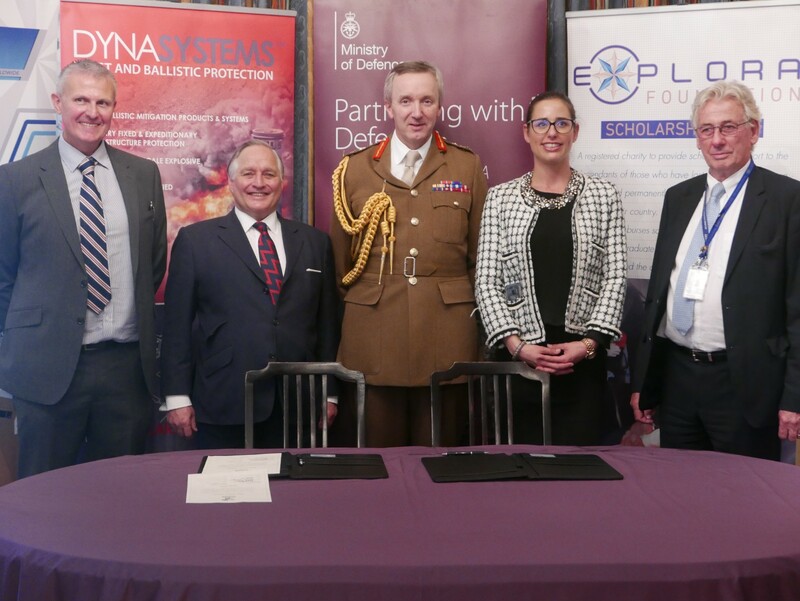 All four companies financially support The Explora Foundation which was established in 2011 to provide academic scholarship support to the dependents of those who have lost their lives or become seriously injured and those permanently disabled members of the UK Armed Forces and Security Services who have been disabled in the service of their country. The Foundation aims to develop and extend the knowledge and practice of physical protection to reduce the risks to those in government service in the future. 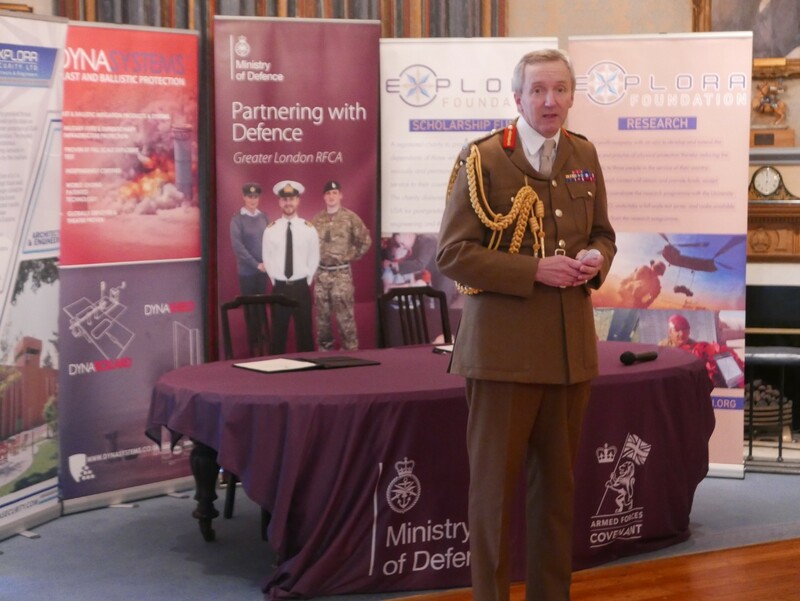 One recipient of an Explora Foundation scholarship who attended the event, is Captain Dave Henson, ex-Royal Engineers. Dave is currently studying for a Ph.D. in Bioengineering at the Imperial College London.